Biometric played an important role to ease the process and now the process which earlier took almost a month, is now processed within a minute. Earlier for obtaining a life certificate, pensioner had to visit the concerned bank and present himself/herself before the Pension Disbursing Agency or submit the life certificate for the same. Sometimes, this process became hurdle for the person who were older and who cannot always be present. Also, it was a major concern for the pensioners who moved to a different location with their family members, the logistical issue was a major driving concern. In some of the instances, the rightful person was denied the pension due to non-submission or delayed submission of life certificate. 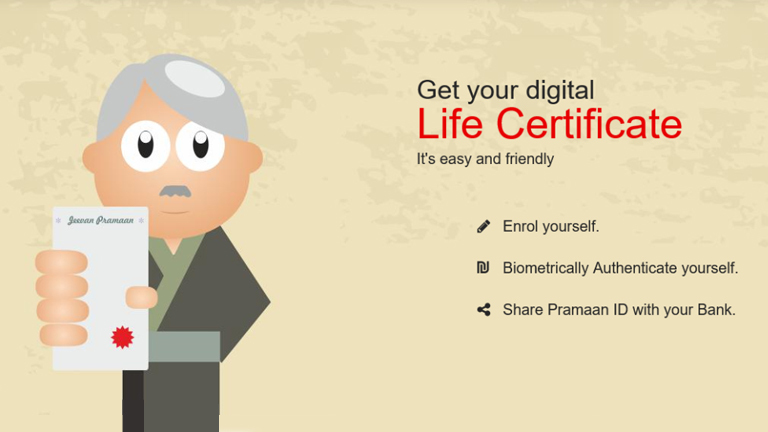 Modi Govt implemented Digital Life Certificate using Biometric of the pensioner for the Pension Scheme of Government of India known as Jeevan Praman. The whole process is based on digitizing the whole process of life certificate. It aims to make the whole process hassle free and simple. Now using biometric technology, pensioner has to be present at the Jeevan praman centre and give their digital signature using fingerprint and everything is done. Even the user can download the Jeevan Praman App for the same. In a nutshell, biometrics technology is playing a crucial role in easing the life of any citizen of a nation. Even Govt. is utilising the technology properly to streamline the system and process. In present scenario, biometrics have spread its limbs to simplify the process. We must embrace the emerging biometric technology with open hands, because it is the most safe, reliable and secure process.